It has been 30 years since my brother Mark died, and while the world mourns this day focused on Pearl Harbor, I have my own Pearl Harbor. Mark smiling, sharing his inner joy. I would like my brother to be remembered for how he lived, and not just how he died. So I shall share some of my fondest memories. I recall how he visited me in college that autumn of 1981, and brought a new ski sweater and one-piece outfit for me to wear, whenever our family would next find the chance to take a vacation. I think back to the last time he put his arm around my shoulders, to comfort me. Or the many, many mornings when my devoted Mom would awaken him at 5am to get up for hockey practice. How he spent hours practicing his skateboard moves on the driveway. The time he was up high in the apple tree, and someone snapped a picture of his smiling face, beaming down. Pick those apples and haul 'em on down, Mark! Or the sound of his trumpet, as he practiced. I even recall that the prior summer, he had found his first girlfriend at sleepaway camp. Ah, the memories of a 15 year old do not disappear with the years. In fact, he is ever present with me on this blog, as my Editor is the mother of his best friend growing up. And the face I see every day in my oldest son, looks just like Mark’s. On that weekend back in December 1981, we had to call family and friends and tell them the sad news. The lines outside the funeral parlor snaked around the block. Everyone was so shocked and saddened. Of equal importance, however, was the courage and actions of my parents, who established a philanthropic foundation in his name, to benefit Westchester adolescents. My father actually announced its establishment, while giving the eulogy. As much as I don’t like to think of the last time I saw Mark in the hospital, when it was determined that the only reasonable course of action was to pull the life support system– there was no way he would recover from his injuries, his brain was kaput– I try to balance this painful imprint with the knowledge that for 30 years, the Foundation granted monies to lots of worthwhile charities in our County. And so my parents showed how to turn a great tragedy into a force for good. 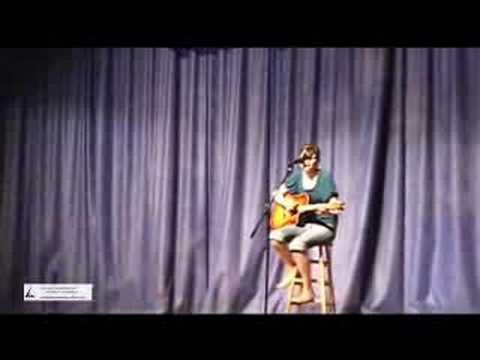 Plus, we had a lot of fun raising the funds, as you can see in this YouTube video featuring excerpts from The Mark Show 2008, the first teen talent show that we produced. I miss you terribly Mark. I thought deeply whether to publish something so personal on my blog. On the one hand, I don’t know who would be interested in it. On the other hand, a blog is at its very core, a human connection. If you would like to feel more connected to me or to others, I encourage you to do one act of lovingkindness today, in memory of my brother. Mark Dolinsky lives on in the minds of those who knew him, in the hearts of all who loved him, and in the sparks of goodness that were ignited by The Mark Brent Dolinsky Memorial Foundation. Please do something meaningful to give back today, December 7, 2011, and may his memory be for a blessing for him in the hereafter, and for us who are inspired by his living. I imagine you will be inundated with comments letting you know how touching and beautifully written this piece is. For anyone who has lost a close friend or family member you have made them remember with love the memories that never fade. Thank you so very much, Efe, for your kind words and support. In fact, most people replied privately, which is fine, and so it has been a tearful and joyful morning for me. Yes indeed, many are in the same boat, remembering with love the good times they had with family members or close friends. Wow. Beautifully written and heart felt. Really made me take a step back from my day and think about what is truly important in life. My thoughts and love are with you. I know you think about him daily but today I know you need a little extra hug. Having attended The Mark Show more than once, I can attest to the fact that it is a great night and a wonderful tribute. Debi, I feel your hug, and keep them coming! I was over-the-moon glad to do The Mark Show, and especially pleased that the audience, performers and everyone connected to it, had a great time. Thank you for all your support and encouragement! Much, much appreciated. I feel your thoughts coming to embrace me! It is great to be able to share from so deep inside. His memory is honored blessed by the work your family does at the Foundation. Thank you Diane for sharing this beautifully written blog with all of us to help us get to know Mark better. What a wonderful way to honor his memory by reminding us all us to make the world a better place through our actions and words. When I opened the blog I knew I was looking at a Dolinsky. Sara and Mark look so much a like. Today I purchased gifts for teen boys impacted by poverty to donate to My Brother’s Keeper. I also purchased books for young children living in homeless shelters. I am happy to know that my actions can be dedicated to Mark’s memory. Cheryl, I am speechless. Thank you so much for your outreach, your caring, your devotion… and ACTING! I mean, taking that action is 110% of it. I don’t know the charity My Brother’s Keeper, but the idea of sending books to children who live in poverty is a great one… maybe take a look at http://www.spokeninterludes.com to see similar. In that 501c(3), every time they hold an author reading, they ask attendees to bring books to donate to children living in poverty, in Yonkers. I just read your moving piece about Mark before going to bed. The pain of such a loss never goes away, I’m sure. We are thinking of you on this 30th anniversary and also of your mom and sister. I have seen that picture of Mark over the years on numerous occasions, but have noticed recently how much Ari has grown to look almost exactly like him. I was just out walking with my dogs today thinking how lucky I was to be alive, enjoying the sunshine, not suffering from an illness or in any pain. It’s become common post-40 thinking for me after suffering many losses of my own. I’m raising a glass (it’s 5pm somewhere) to Mark and to all the loved ones who are no longer with us. Always loved…never forgotten. Hugs Diane! This was really beautiful, Diane. Thanks for writing it. Diane, Mark was such a beautiful child, and still, to this day, I just have no words. It would be my privilege to donate books and the like to underprivileged children in Yonkers or any other venue.